Alerts and Messages for U.S. visitors to Canada. Deputy Chief of Mission Richard M. Mills Jr.
President Donald Trump was inaugurated in Washington on January 20, 2017. 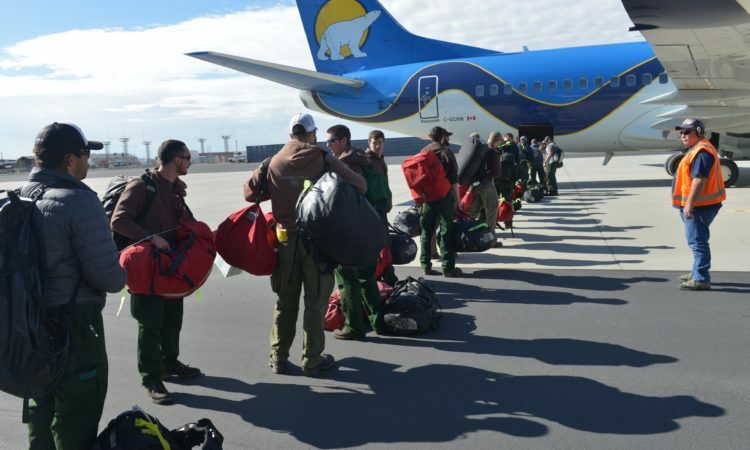 The National Interagency Fire Center (NIFC) mobilized over 200 wildland firefighters to assist with the Fort McMurray fire in Canada this morning. "The U.S. Embassy, via the U.S. Agency for International Development (USAID) Office of Foreign Disaster Assistance, will provide USD$50,000 to support response activities, joining tens of thousands of Canadians and Americans who have reached out to assist the people of Alberta." This is the official website of the U.S. Embassy and Consulates in Canada. External links to other Internet sites should not be construed as an endorsement of the views or privacy policies contained therein.